Recently, Robyn picked up a pair of Salomon Comet 3D Lady GTX boots for day hiking and the occasional overnight jaunt. 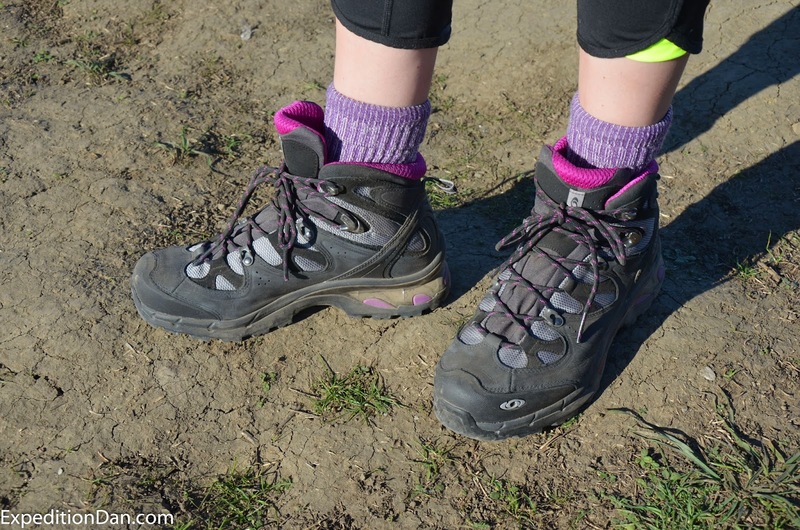 If you would like to read about how she chose these boots be sure to check out the Beginner Hiking Series: Buying your first pair of serious hiking boots. The Salomon Comet 3D boots are billed as a lightweight boot for long day hikes and overnight backpacking adventures. What they forgot to mention is that these are likely to be one of the most comfortable pairs of boots you will ever own. Salomon has clearly managed to take the great fit of their trail running shoes and transfer it into their boot lines. The first thing you notice about these boots is that they are really great looking. Many women's boots on the market tend to be styled like a scaled down men's boot and are offered in colors that are questionable, to say the least. Robyn commented that these boots look like they were actually designed by a woman. The bright colors are there but understated. Many women's boot color pallets seem like a neon sign post designed to point out that they are in fact, made for women. Robyn finally got to take them out this past weekend for a 10 mile day hike. At first, I was a bit skeptical these boots would provide a pain free first hike. 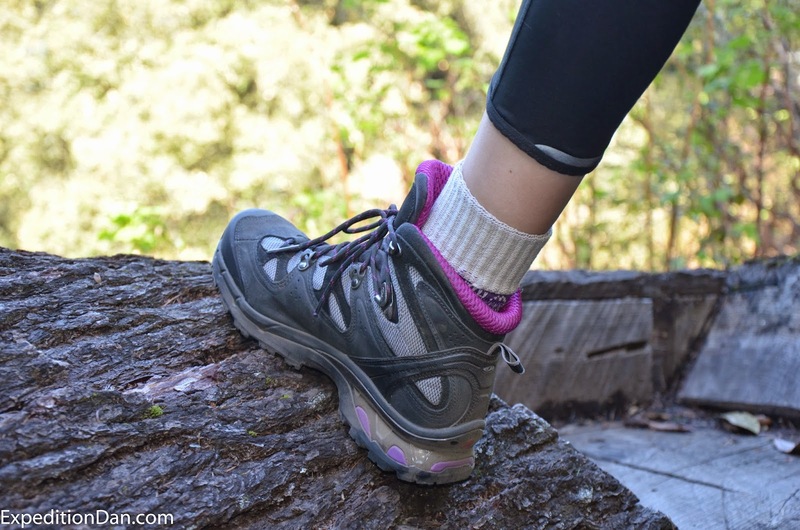 While they are quite light, they seemed fairly stiff in the toe and midsection and I was worried Robyn would encounter the dreaded first hike blisters while breaking these in. Fortunately, there appeared to be a minimal, if any, break in period required and we got to see what a great pair of boots these really are. Once on the trail, Robyn's first impression was that the Salomon Comet 3Ds are comfortable - really comfortable. Her description of the fit was that they were like "comfy Italian slippers" and that they felt really stable. To really run these boots through their first hike paces we chose a hiking trail loop with about 1000 feet of climbing and descending. On steep downhill terrain the boots performed equally well on both loose and hard packed dirt. They provided plenty of grip and ankle support even on ground that was torn up by erosion gullies. The generous padding in the sole prevented any uncomfortable pressure points from developing and kept the impact fatigue to a minimum. Despite the drought in California we managed to find a reasonably deep stream crossing. The boots had no issues crashing through the stream with water up to the top of the toe. The water rolled right off due to the Gore-Tex. Going uphill is really where these boots started to shine. Robyn noted that the boots did not rub on her ankles at all and felt really light like a running shoe. She noted that she felt much more comfortable keeping her whole foot on the ground on really steep slopes rather than "toeing in" as many hikers with stiff boots tend to do. 10 miles down and the boots are feeling great. The only real downside we found with these boots is that due to their dark color they can get somewhat warm. The ventilation is good, but in direct sunlight it just can't keep up fully with the amount of solar energy being absorbed by the large black panels. Wearing a thinner sock made for warm weather should easily mitigate much of this, and they are sure to be toasty in the winter. After only a the first outings it is hard to evaluate the long term durability of the boots, but they seem well built. If Salomon's other shoes are any indication, they should last for at least a few years if not longer depending on the boot mileage and how well we care for them. These boots turned out to be a fantastic surprise. They are genuinely one of the most comfortable women's boots on the market and at $200 are a great value. We highly recommend them if you want your feet well cared for on your outdoor expeditions. Thank you very much for the review! 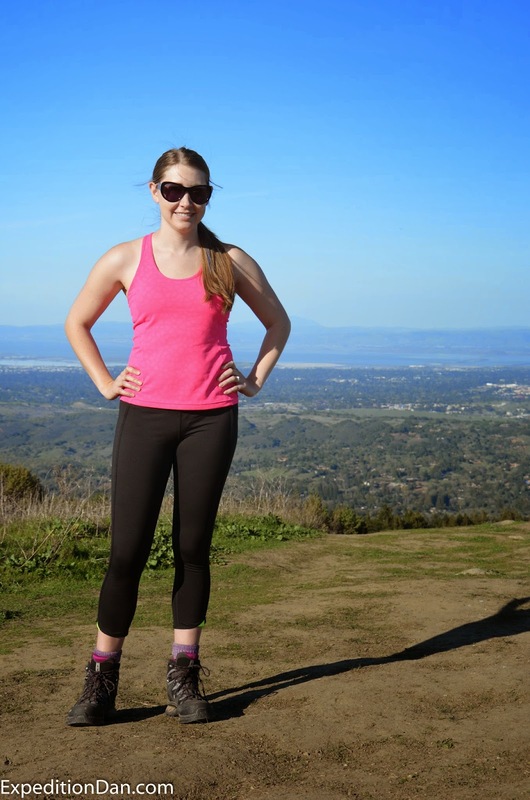 I loved reading it and it confirmed my choice in hiking boots! This may be a dumb question but why are the brown Comets on sale around 60$ less than the ones Robyn is wearing? (those are the ones I want but they are 199$). How long should I wait for the price to come down? or should I just buy them right now? I'm glad the review was helpful for you! It appears that the brown Comet boots are the 2012/2013 model and so are on closeout now. I would expect you could see the purple Comet 3D boots on sale sometime around late fall when the 2015 boots start coming out. Of course, you might still be able to buy them sooner if you find a sale coupon at REI or another online retailer, which would allow you to use them this summer. Hopefully this helps, and feel free to contact us anytime with questions! Wow! thank you for the quick response!! Aaahhhhhhh so that's why they are on sale! I'm in love with the purple ones so I'll be watching for sales or coupons for those! I need them before summer to break them in as I will need them in March on my backpacking trip! I didn't know about REI, thanks for the tip! This was very helpful, thanks so much! Just one other note, the break in seems to be pretty minimal for these so you should have an easy time getting them ready for your trip! Really? well that's good news! Boots I've had took a while! The advantage comes through making the shoe substantially more sympathetic on trails and that implies less lower leg rolling. Likewise, the footing is wonderful. On rough, steep, smooth, earth and sloppy surfaces these shoes hold tight like an un-utilized relative! I find a good website of best hiking shoes for men. you can visit.